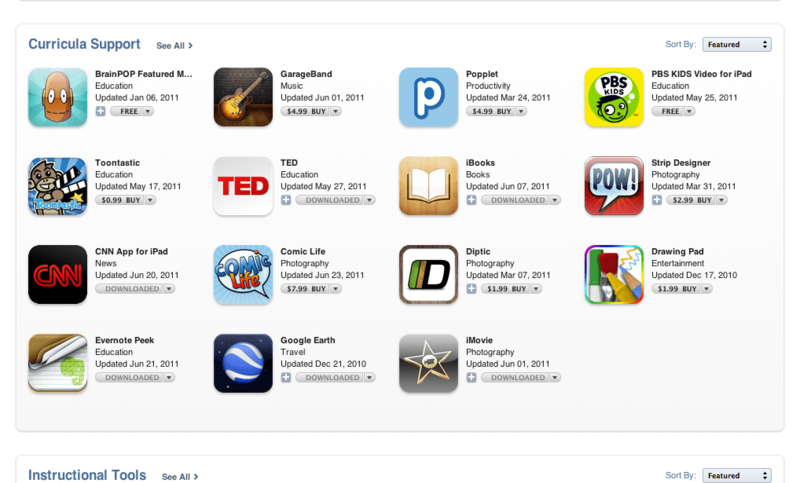 While reading through my tweets I noticed that Apple announced a “Teachers Section” on the Appstore. Some of the showcased apps include Wunderlist HD, Doceri Remote, Brainpop, Garage Band etc. You can browse the selections by navigating here. I think it is great that Apple is recognizing how much we are using these tools in education and they are making it much easier for teachers who are new to the ipad to get started. I don’t see any other tablet manufactures doing this for education. 20 Apps in 20 Minutes.